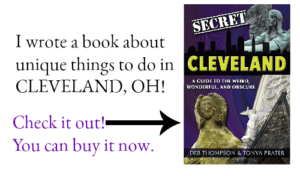 If you’re looking for things to do in Ohio, look no further than scenic Hocking Hills. 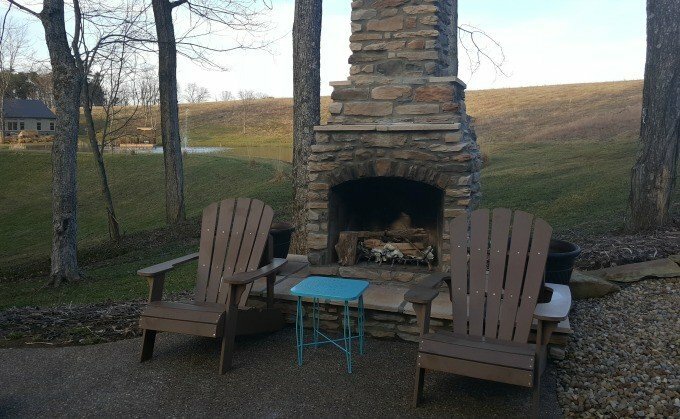 Not only is the Hocking Hills region great for a family vacation, it’s also an ideal location for the perfect couple’s getaway. Explore historic Appalachian towns, antique stores selling remnants of yesterday, a winery and Hocking Hills luxury rentals that are perfect for that special night, weekend or a full week away. 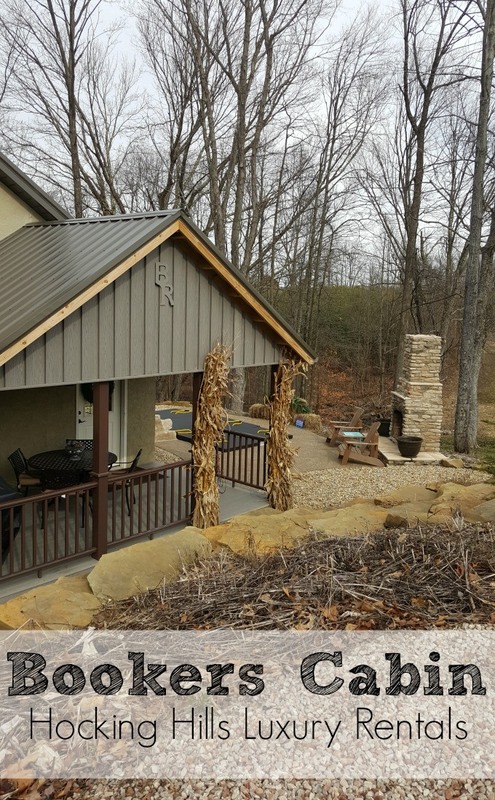 My husband and I recently enjoyed a stay at the Bookers Cabin, located at the Bourbon Ridge Retreat. 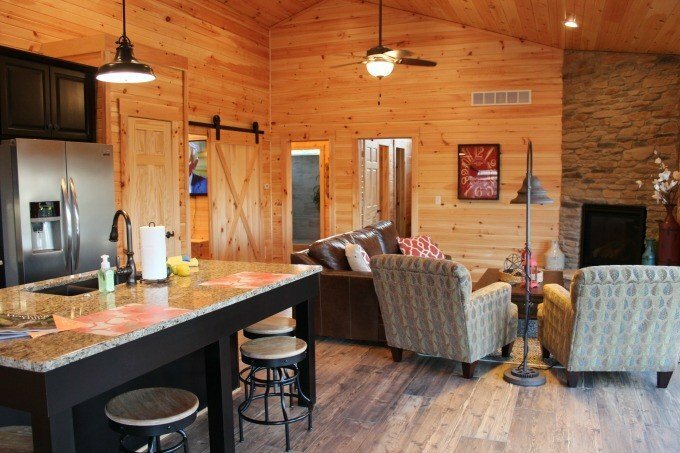 This cabin can comfortably accommodate up to four guests, but I think the private cabin is perfect for two. 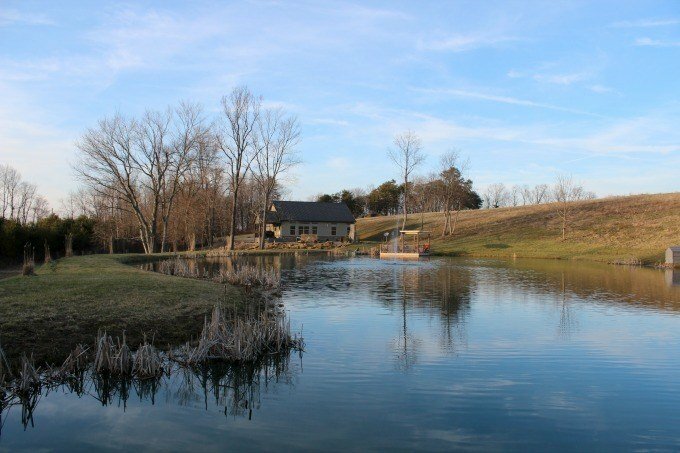 The private cabin is situated on 202 acres with five miles of hiking trails and over 5,000 recently planted fruit trees. The Bookers Cabin is the last cabin located on the property, past the Woodford Cabin, with beautiful stone steps leading down to the cabin from the parking area. Though our visit was early in the season, I’m told during the spring and summer, the cabin is surrounded by thousands of flowers, adding a bit more privacy and adding even more beauty to the area. 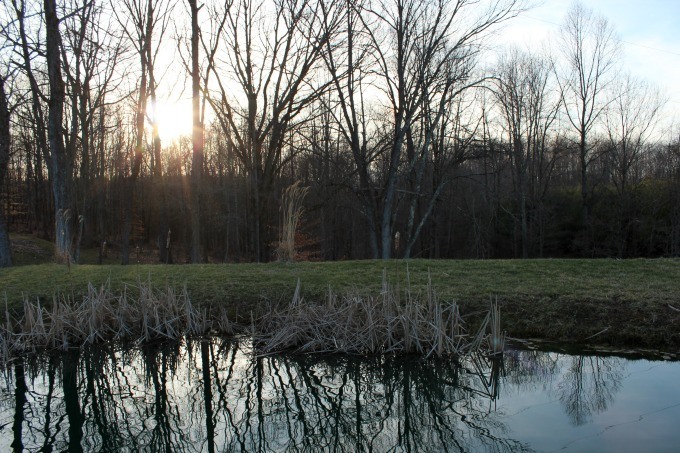 The cabin is situated to allow views of the woods and pond that separate the Bookers Cabin and the Woodford Cabin. On the pond you’ll find a private gazebo with outdoor furniture and lighting where you can relax with a good book or update your Instagram page with the free Wi-Fi from the cabin. Indoors, the beautifully decorated cabin features high quality furnishings in a comfortable atmosphere. With comfortable seating, inside and out, a mini-movie theater equipped with a sleeper sofa with a memory foam mattress to double as a second bedroom, a gas fireplace that can easily be turned on and off, a large master bedroom with a gorgeous custom king bed built out of pine grown on the property, fully equipped gourmet kitchen, and the most impressive shower I’ve seen in any of my travels. My husband and I found the Bookers Cabin to be the ultimate location for a romantic getaway. After we settled into the cabin, and prepared our dinner, we moved outside to check out the grounds. 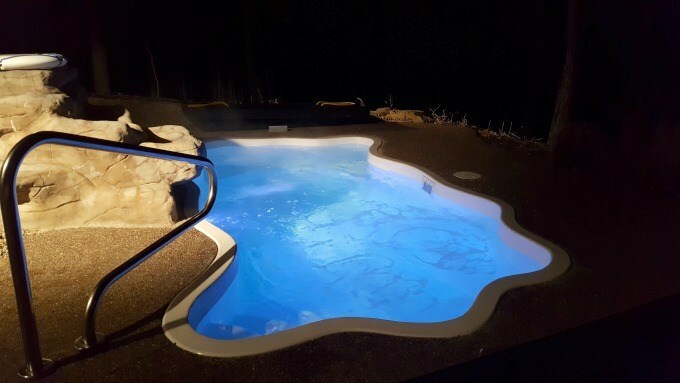 With an outdoor grill, a hammock for two, and outdoor fireplace with Adirondack chairs to relax in, there was plenty to keep us occupied, but my favorite feature of the property is the heated pool that doubles as a hot tub- the largest hot tub in Hocking Hills. With comfortable seating, LED lights and a portable Harmon Kardon speaker that synced to my phones playlist using Bluetooth technology, my husband and I were content to relax in the perfect 103-degree water. 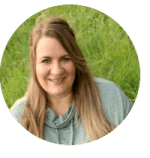 With children that are now grown and starting to talk about moving out of the house, I often half-jokingly tell my husband that I want to live in a tiny house. I’m not sure I could really do that for the rest of my life, but I do think I could live comfortably in the Bookers Cabin. Not that it’s small, it certainly isn’t, but I love the way it’s laid out and how the space is maximized. Huge windows along the living area and bedroom let in plenty of natural light. I love the sliding barn style door to the movie room, the elegantly rustic and comfortable decor, the large cathedral ceilings and wood floors, the storage and seating that fit under the kitchen island and the window at the top of the large two-person shower. 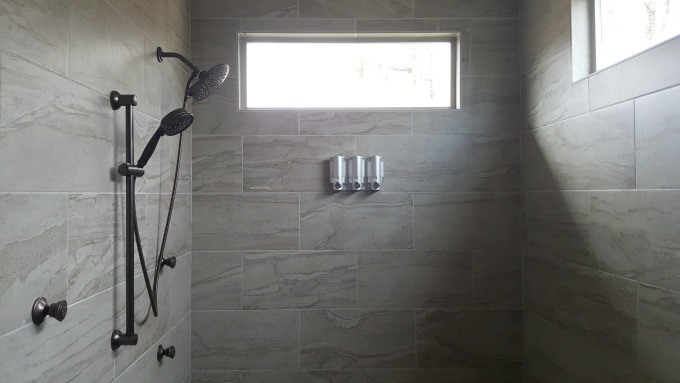 Did I mention the shower? Umm…yeah…it’s that awesome. And my photo doesn’t even do it justice. You can’t even see the overhead rain making shower heads. As a clean freak, I appreciate that the vacation properties rented through Ohio Luxury Lodging are always extremely clean and in pristine condition. We found the Bookers Cabin to be no exception. 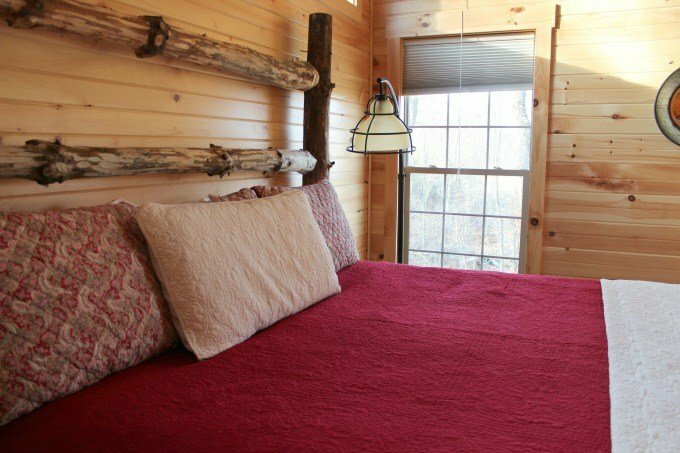 If you’re looking for a romantic getaway to enjoy with that special someone, check out the Bookers and Woodford Cabins. I can’t wait until my next stay. Looking for a place for your next romantic getaway? 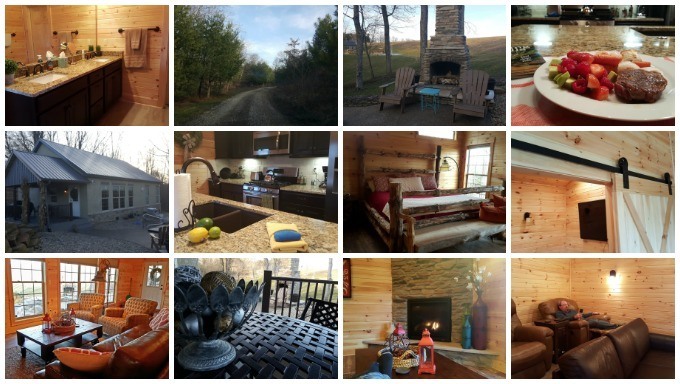 Check out the Bookers Cabin at the Ohio Luxury Lodging website call 740-974-2888 for more information. 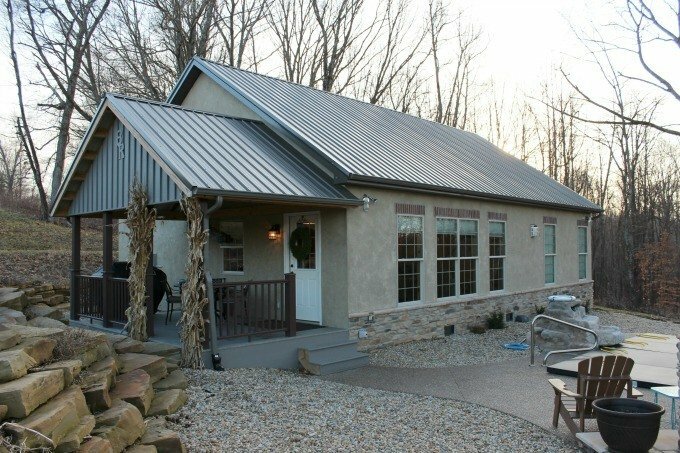 If you’re looking for family resorts in Hocking Hills, check out the Laurel Lodge or Rush Resort.